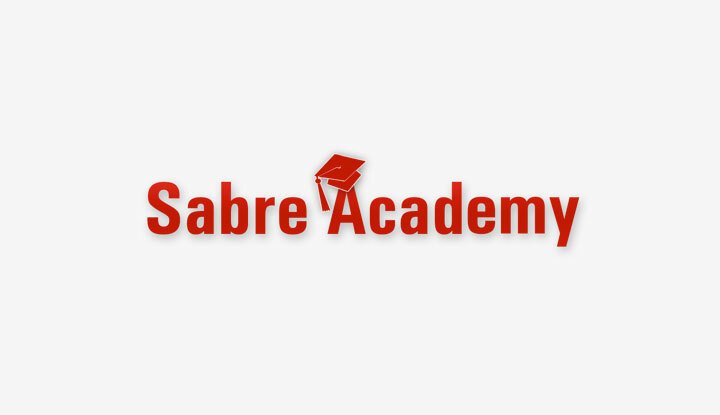 Sabre Academy is one of the projects we are most proud of. It is a course and open lectures for students from AGH University of Science and Technology and Jagiellonian University, which creates a great opportunity for them to get to know the practical side of creating software through small and large, enterprise-like projects. 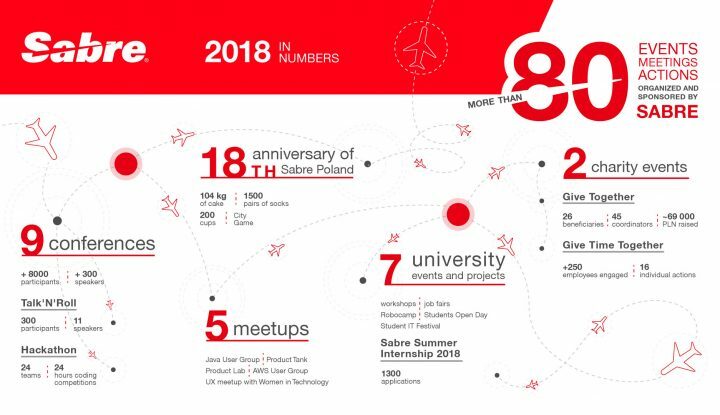 With the beginning of the 2017 academic year Sabre Poland invited IT students from two universities in Krakow for “Sabre Academy”, a practical course for students. Almost 40 of them attended the course called “Creating software in business practice” and learned about the business side of coding. Why Sabre Academy is exceptional? Sabre Academy acts as a normal subject for students of IT. That makes this project pioneering, at least on a local level. They can choose it as one of several and they do it very willingly. For the course at AGH signed up 140 people for 20 places. At the Jagiellonian University half of the students from the academic year has signed up. Some students are aware that participation in such activities may have an impact on the start of their careers. Lecturers from companies can see someone here, so we are more involved, because it can be related to some profits – Dawid, student of the fourth year of programming at AGH. In previous years, we have had similar classes, but in this year, we changed the form. The main difference is that the classes are now normal subject, on par with the others. At the end of the semester, participants gain not only practical knowledge and skills, but also the ECTS points. The most important thing for me was to find a class that would help me in the future at work and would be associated with the practical aspect of programming. I counted on the implementation of an interesting project, which, although with limited functionality, will cover all stages of a real business project – Joanna, student of the fourth year of IT at AGH. Why we have started this program? There are many classes and meetings organized at universities by companies. But Sabre Academy is not another of them. Our goal is not to tell anyone how great it is to work in our company. We want to have a real impact on their education, give them a chance to learn things that they do not have access to at university. We see great potential in such close cooperation between companies and universities. We would like to pave the way to introduce a system of permanent cooperation. For us, this is a great opportunity to improve our solutions due to the scientific approach and cooperation with students – Damian Gałka, Senior Software Engineer, one of the lecturers. At Sabre, we focus on practice. That is why, the main aim of our program is to prepare participants to work in the business environment. It is estimated that Poland lacks tens of thousands of IT specialists. The IT labour market in Poland is developing dynamically and needs well-educated professionals. We hope that projects like ours will help in that matter. Meeting with students is always an opportunity to exchange views, but also a challenge – how to interest students about the topic, how to interact, how to make them not yawn during the classes at six in the evening? – Katarzyna Jurczak, coordinator of Sabre Academy. University lectures and workshops are a great way of learning. We don’t want to create alternative for them – our classes are complementary. If you want to achieve success in any field, you have to use diverse sources of knowledge. Sabre’s course focus on skills that students can learn only from professionals. The application we worked on was a real product. It was not just homework, but a real application that we can use, and we can show it to someone. We used the tools that the real developers in Sabre use. I think it was a great experience and opportunity to see how the developer’s work looks like – Anna, student of the fourth year of IT at AGH. Providing opportunities to learn is remarkable thing. But teaching is even better. It is exceptional method of developing yourself, because it combines both technical and “soft” skills. To teach, you need to systematize your own knowledge and prepare for sharing it. This requires commitment, patience and communication skills, but at the same time it provides tremendous satisfaction. It creates exceptional possibility to enter the next step in your career. The project was an excellent opportunity to systematize the knowledge we have. The lecturers have spent a lot of time and work to prepare for the classes and we will certainly use their experience also in internal initiatives and training for employees – Katarzyna Jurczak, coordinator of Sabre Academy. The students asked questions, sometimes they even questioned some things – trying to understand why it works. 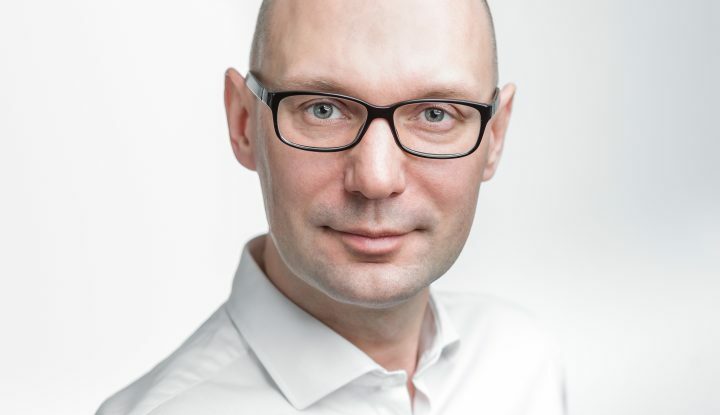 This allowed for a discussion, so even we could get something valuable out of it, and participants themselves could receive new knowledge – Damian Gałka, lecturer. How and what do we teach? We have designed the course to cover all areas that may be challenging for beginners. From project management and communications to application implementation and testing. A total of 15 Sabre experts worked on creating the program for several months. Selected issues were not accidental. Each of the topics has been carefully prepared for the students’ needs. 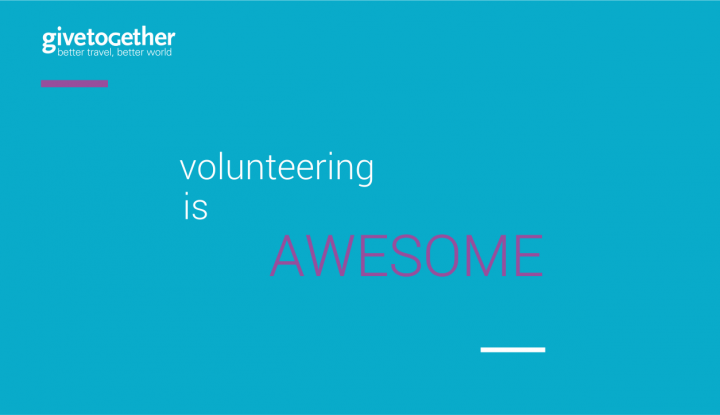 The project is run by Sabre employees, among them are scrum masters, team leaders, managers and directors, engineers, developers and UX designers. Participants can learn about theory of software development, different programming languages and environments, cloud computing services, agile programming methodologies and testing. Some students have already met with similar problems, so in the course of lectures and laboratories they had specific questions. It enabled us to focus on the problems that were important to them, and to exclude those that were obvious – Damian Gałka, lecturer. Sabre Academy is very important for us, however it is not the only one educational initiative supported by Sabre Poland. We are involved in projects in every level of teaching – from elementary school to universities. For students there are Open Workshops, Softskill Academy, Student IT Festival (Studencki Festiwal Informatyczny), Bait Hackathon, internships programs and many other workshops and conferences. But there are even events for kids where we teach them how to code – such as Koderek or Greenlight4Girls. The best summary of our project is, of course, the evaluations of the participants themselves. And these are very positive. I am very pleased, because even though in each of the areas we implemented only a small subset, it was comprehensive. We went through all the stages and it seems to me that we tried everything in the basic range. Looking at the time that was intended for the course, we did everything that could be done – Joanna, student. The greatest words of appreciations for their commitment goes to: Justyna Styś, Damian Gałka and Piotr Orchowski who led the project part of the classes and were also engaged in consultations and the exam. Project was coordinated by Magdalena Krakowska and Katarzyna Jurczak with a support from Talent Acquisition Team: Monika Zabdyr, Sylwia Iwańska, Wojciech Dańczuk.